Preheat oven to 425 degrees F (220 degrees C). Line a baking sheet with aluminum foil. 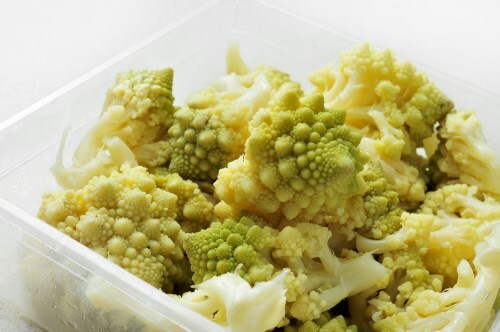 Spread Romanesco onto the prepared baking sheet; drizzle with extra virgin coconut oil and season with salt, black pepper, garlic powder, and paprika. Roast in the preheated oven until tender, 15 to 20 minutes.